Matthew, along with his brother Hugh, arrived at Liverpool from Scotland only two months into Liverpool's very first season. 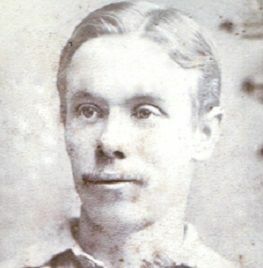 Matthew had already been capped by Scotland as a winger before moving south to Merseyside and he would play in a number of different positions during the club's successful inaugural season in the Football League, even taking over from first-choice goalkeeper William McOwen on five occasions, a role he would also fulfil on 36 more occasions in his Liverpool career. He was certainly the only man in English soccer history (and probably ANY country for that matter) to win two championship medals, albeit in the Second Division, as both an outfield player AND a goalkeeper! But when Harry Storer arrived to claim the No. 1 shirt towards the end of the 1895-96 season, even Matthew's versatility could not guarantee him a place in the side and he was only selected five times during the next three seasons. After he finished playing, Matthew became a qualified referee. He was chosen to Liverpool's board of directors on December 16, 1919, and then in 1923 was offered the chance to take over as manager of Liverpool when David Ashworth surprisingly left the defending champions to move to Oldham Athletic. Matt saw the club safely through to their second successive championship and, despite losing a leg in a car accident shortly afterwards, continued to manage the club until February 1928, but not before he had made one of the most important signings in the club's history, the South African goalscoring legend Gordon Hodgson. Matt continued to live in very close proximity to Anfield and was a regular and welcome visitor to the club from the day of his retirement until his death in 1944.